Just two more days to Halloween. 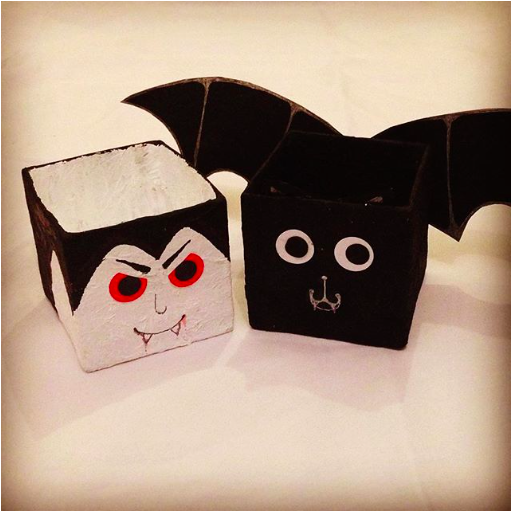 I made these container for Halloween with my peoples, they enjoyed making them very much, this craft allowed them to be creative a purposeful craft. You can decorating them with Halloween related characters or personalise it, and decorate it however you like, make it in to a: pencil box, make up storage or a gift. Paint- any of your choice, I use poster paint. Measure out x 5 10cm by 10 cm squares carboard. Maskin tape the side toothier first. Masking tape the base last. Apply PVA glue to strip. 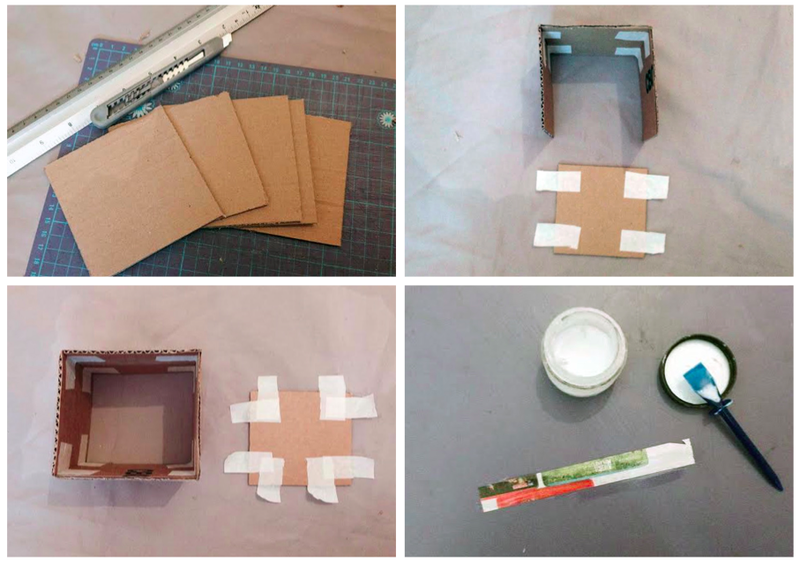 Note: you can apply PVA on to the box first then stick the stops on, however it will be messy, stick and wasting glue. Apply at least 2 layers of strips, one horizontal and another vertical. 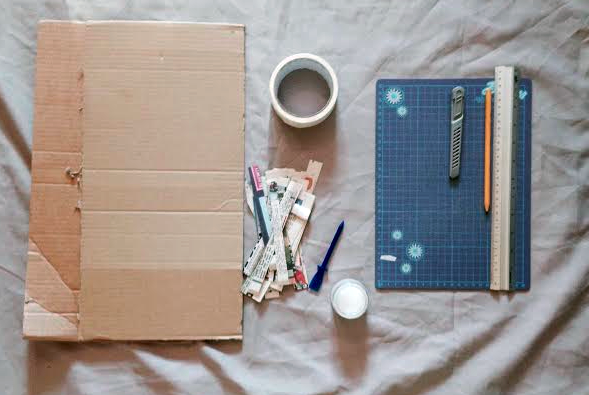 Allow the box to dry, by resting it on the masking tape roll. this way the base does not stack to the surface and the inside can dry. Cut out stops of kitchen paper. Apply kitchen paper using PVA glue. Apply two laters of kitchen paper, one vertical and another horizontal. Allow container to dry on the masking tape roll. Depending on your chic of decoration/ design. I have chosen to make a bat. 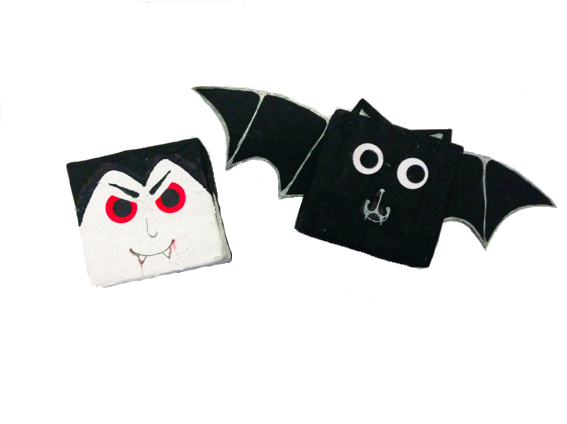 I cut out features of a bat using card, such as the wings, ears and eyes. Wait for the box to dry completely. I painted the cards and box. I used glue stick to glue on the features. Note: You may need a stronger glue, depending on your chosen design and materials. I used a white gel-pen to apply the bat’s nose, mouth and other features. Stay tune for last minute Halloween craft! !